Katy is a volunteer and Youth Blogger for the national charity OCD Youth which offers information, advice and support for people living with Obsessive Compulsive Disorder. In this blog Katy talks openly about her experiences of OCD, diagnosis and getting involved with OCD Youth. Katy also describes her experience of self-harm and anorexia. TRIGGER WARNING: Katy’s blog contains some content which some readers may find triggering including thoughts of suicude- please visit our support and links section to find out more about organisations, websites and apps offering help or support for any of the topics mentioned. 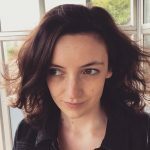 I’ve talked a lot publicly about living with OCD. But trying to explain what it’s like to someone who hasn’t been there isn’t easy. Most people have only come across it in films or soaps and these tend to be quite stereotypical. A character might wash their hands a lot or, like Sheldon from The Big Bang Theory, have to knock on a door three times before entering. Don’t get me wrong, I did a lot of stereotypical OCD things: I washed my hands a thousand times a day, cleaned the house like a women possessed and my wardrobe was way more organised than your average twenty year old girl. Usually when people ask me what OCD is like I tell them about being stuck in the bathroom for two hours. I was two-stone underweight, with self-injury wounds up my arm and unable to move because the floor around me was contaminated. That always has the shock factor and grabs people’s attention, which is great when you’re campaigning for better treatment and understanding of the disorder. But it doesn’t begin to get across what living with OCD is really like. In reality, it wasn’t the obvious, dramatic things that destroyed me. It was the daily grind of secret rules and rituals that broke my spirit and brought me to a point where I no longer wanted to live. It was all the little things I missed out on. Things “normal” people take for granted like giving the dog a bath, having a cup of tea with family or even opening a window. I’d always had a long list of dos and don’ts. There were certain foods, rooms in the house and even people that were contaminated. But for the most part I was able to avoid them and live a relatively normal life. Then things got a lot worse and the rules dominated my day so that I could no longer function or have any kind of life outside OCD. Things got so bad that for eight months I lived as almost a complete recluse. Check the heating isn’t on so you don’t overheat and sweat. Sweat is contaminated. Immediately drink cup of tea so you can leave 20 minutes before breakfast and an hour before exercise. 06:00 – Breakfast (two pieces of plain toast. Toast is the only food not contaminated). Wash hands if they come into contact with any food or food smells. Set aside ten minutes to wash dishes thoroughly. They cannot go in the dishwasher. Dirty dishes sit in there for hours. The dishwasher is contaminated. It’s an hour until you can exercise but your clothes have been exposed to food smells and are ruined. Bin them, then sit in one of the designated contaminated spots until the hour is up. Carry out exactly 100 of each set. Do not stop even when you feel faint and your stomach is in agony. If you lose count or are interrupted, start again. This is only the first shower of the day so doesn’t have to be perfect. First, put on shower slippers so you don’t step on the bathroom floor. Next, put contaminated clothes in laundry basket and wash hands before touching clean towels. Carry towels to bathroom making sure not to touch furniture. Open the bathroom window to let freezing air in so you don’t sweat. Wash hands because the window is contaminated. Once in the shower be sure not to brush against any of the walls. Use safe soaps to cover entire body and repeat as necessary until you feel sufficiently clean. Try to ignore the burning sensation of soap on broken skin. This means there will be bacon, sausages, eggs etc being cooked. These are contaminated foods and I haven’t had a chance to move my clean clothes far enough away. They are now contaminated. I can feel the smell on my skin. It’s seeping into my blood. The contamination is on the furniture, the walls and the curtains. Everything around me is contaminated. I am contaminated. I must self-harm and then shower again. I’ll stop there otherwise this is going to turn into a memoir…! Believe it or not, mornings were actually my favorite and least stressful times of day. Even more crazy is that when I was living like that, it never occurred to me that I had OCD. Like so many people, my knowledge of OCD was very limited so I had no idea what was happening to me. I just thought I was contaminated, insane or both. However within about two seconds of meeting my therapist she diagnosed me with severe OCD and anorexia. Apparently it was blindingly obvious to everyone but me. Once I got my diagnosis everything fell into place. Things I’d been beating myself up over for years suddenly weren’t my fault. All those times I’d told myself to snap out of it and then hated myself because I couldn’t, now made sense. Everything started to make sense and the self-hate and shame I’d carried round with me began to ease. Finally I knew what I was tackling and was able to commit myself one hundred per cent to getting better. When I started looking back over my life, I saw that OCD first reared its head when I was seven, that’s thirteen years before I was diagnosed. It started off small; I had to put my socks on the right way. At the time I dismissed it as nothing. So I had to put my socks on a certain way, big deal. Then I started having to check all the lights were switched off at night but, who cares? And yes, I believed certain nail varnishes had the power to make me fat but that was just one of my little quirks. My OCD grew and grew but I kept dismissing it as nothing until it was so bad I could no longer leave the house and I was suicidal. At that point, even I had to admit there was a problem. One of the first places I reached out to was OCD Youth, a charity dedicated to helping young people overcome OCD. Through them, I not only got so much more understanding of my disorder but I met people whose brains worked exactly like mine. When I was with them I felt normal. Nothing I said sounded weird and I could be completely myself without fear of rejection because they just got it. I started to see that it wasn’t just me. I wasn’t this freak show who needed to hide away from the world. I had a problem that I could fix. It wasn’t going to be easy but, I as I listened to other people’s stories of recovery, I was inspired to keep fighting for my own. OCD stole a big chunk of my life. I lost a lot of friendships and missed out on a lot of basic teenage experiences like learning to drive and going to school dances. I never got to go to university or even finish my A-levels. I felt like OCD had robbed me of my entire life. It took a long time to let go of the years it ruined and the future I’d planned for but would never achieve. Today, a year on from my diagnosis, my world is completely different. 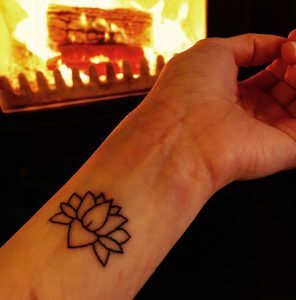 I have a job I love, I no longer think I’m contaminated and where there used to be self-harm wounds on my arm, there’s a beautiful lotus tattoo. Now, people approach me for advice on recovery, which still feels so weird. I never thought I’d be able to get myself better let alone help someone else. But it’s amazing and it reminds me just how far I’ve come. OCD nearly ruined my life but it doesn’t have to get that bad. There’s so much support available whether it be doctors, books or online communities. I was so scared to ask for help but when I did, I was blown away by how much people wanted to give it. There’s no such thing as “not sick enough” or “stereotypical OCD.” It comes in all shapes and sizes but it is possible to recover completely. If you told me that a year ago I would’ve laughed in your face, but now, every time I open the bathroom window without washing my hands, I have a little smile because I’m proving to myself that recovery is possible. Katy, 21 – OCD Youth Blogger: Katy battled with OCD and an eating disorder for most of her life. She became reclusive for four years before eventually getting treatment. Now, she writes books and articles that share her story of recovery in the hope she can help others going through the same thing. She’s also training to be a dog specialist and plans to one day own her own rescue centre. If you would like to find out more about support for OCD then you can visit the OCD Youth website. OCD Action is the UK’s largest OCD charity. OCD Action also coordinate peer support groups across the country and have produced a helpful guide for students.